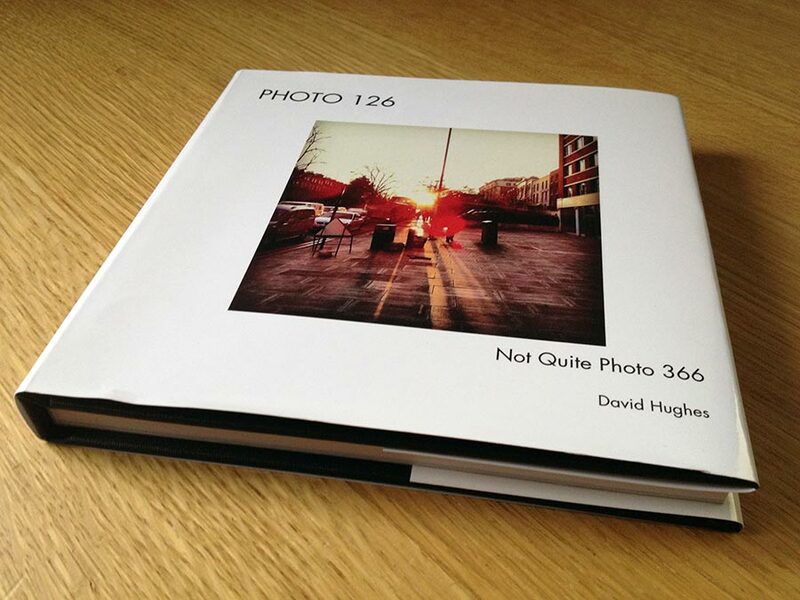 A little while ago the nice people at Blurb contacted me, and asked if I would like to create a book of my Photo 366 project. I pointed out that my project ground to an early halt with just 126 photos taken, but they were OK with that, and so Photo 126 – The Book was born. Blurb have three ways to create your book: on the Blurb website, using Blurb’s downloadable BookSmart app, or using Blurb supplied inDesign templates. I opted for the middle ground, and used the BookSmart app. At best the BookSmart app is OK, on my 5 year old iMac it was a little jerky which may be because, I’m guessing, it isn’t a native app. It doesn’t feel like a native Mac, but something that has been ported from another platform, or from a ‘write once’ type environment. The app is able to import photos from a number of services or from your local drives; I imported mine from Flickr. The BookSmart app imported the photos without fuss, but I would have liked the photo titles to be imported as well, as many of my Photo 366 images work better with the title. The BookSmart app did a good job of resizing the photos, but this highlighted another issue I had with Instagram: low resolution images. In the end I went through and manually resized each image, although that more an issue with Instagram’s low resolution images and my innate fussiness than the BookSmart app. And whilst I’m being picky – full screen mode would have been nice. To order the book you move from the app to the Blurb website. This surprised me, but the transition was smooth, and without any issues. Blurb have a very nice selection of book and paper options; I opted for a square hardback format with higher quality paper. Throughout the checkout process Blurb highlight the option of having an instant PDF of your book. I though this was a nice idea until I saw the PDF file was an extra £2.49. I’m suspect the BookSmart app uploads a PDF, so to charge for something that has no intrinsic cost of production feels a tad money-grabbing. There is also the option to create a iPad eBook which is a further £4.99 – see above for my thoughts on that. The book itself arrived relatively quickly, and on the whole I’m very pleased with it. The only element that I think could be improved is the dust jacket, which is a shame as this is the part of the book on permanent display and the first part of the book you touch. The book itself has no printing or blocking on the spine so the dust jacket can’t really be ditched. However, the rest of the books is great with really solid covers, high quality paper for the pages and good quality printing. Even with the low resolution Instagram images the photos look great with colours reproduced well. I’d be very interested to see what a book of high resolution images would look like – I’d be happy to use Blurb again.